A unique and amazing anti-aging eye care product that really works. 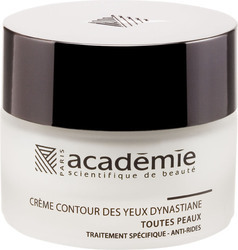 Effectively promotes youth and firmness to the eye area. Soothes the eyes and helps to tighten the eyelid to minimize eye bags as well as dark circles. Keep those eyes clear windows of the beauty within you. Eliminate lines and fine wrinkles around the areas that frame those beautiful eyes. Retards the appearance of lines around the eyes. - Make it penetrate with light massages from the inner eye area towards the external eye areaa.